So we put the two together to make one awesome dinner that is sure to be a winner! 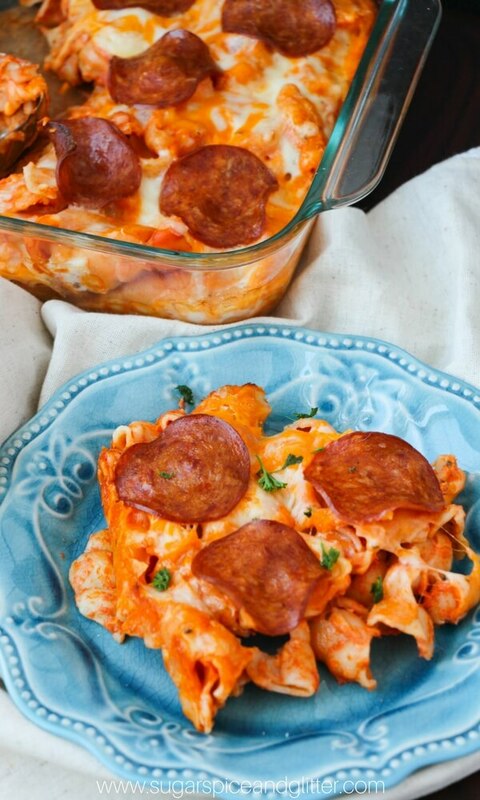 Tip: A free printable copy of this Pizza Casserole recipe is available at the bottom of the post. 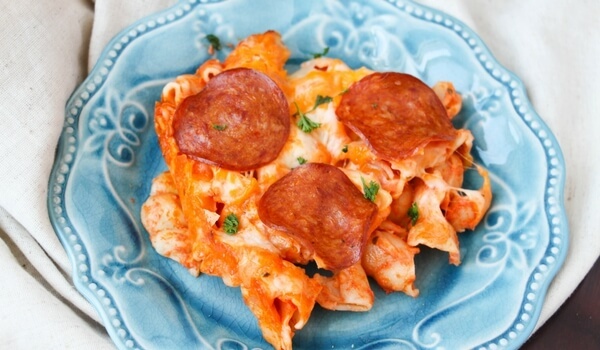 Free printable copy of this Pizza Pasta Casserole recipe is located below photo step-by-step instructions. Preheat oven to 350°F. Cook the pasta according to package directions and drain out the water. 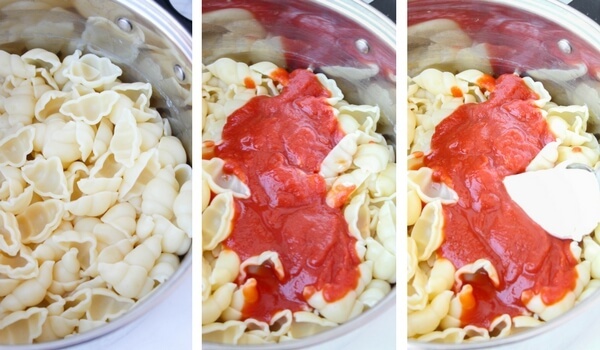 Place the pasta in a large bowl and add in the pasta sauce, cream cheese, salt, pepper and Italian seasoning. Stir well to combine. 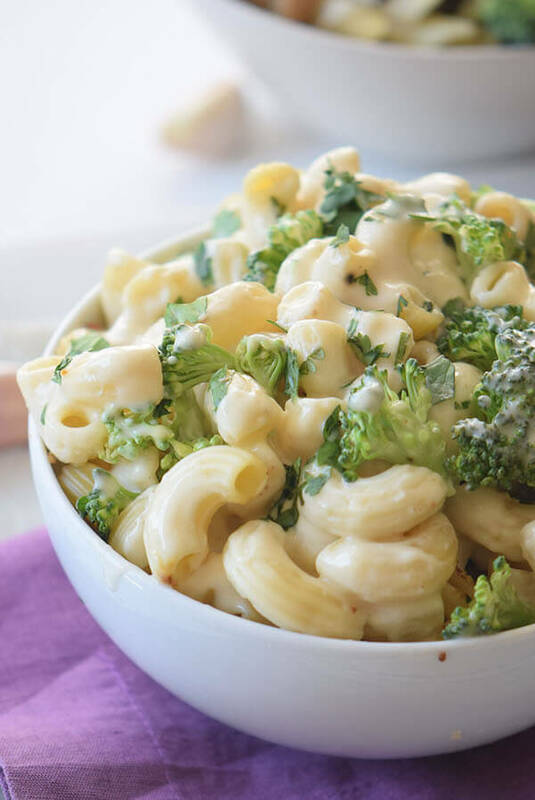 The heat from the recently cooked pasta will help melt the cream cheese to make it stirrable. 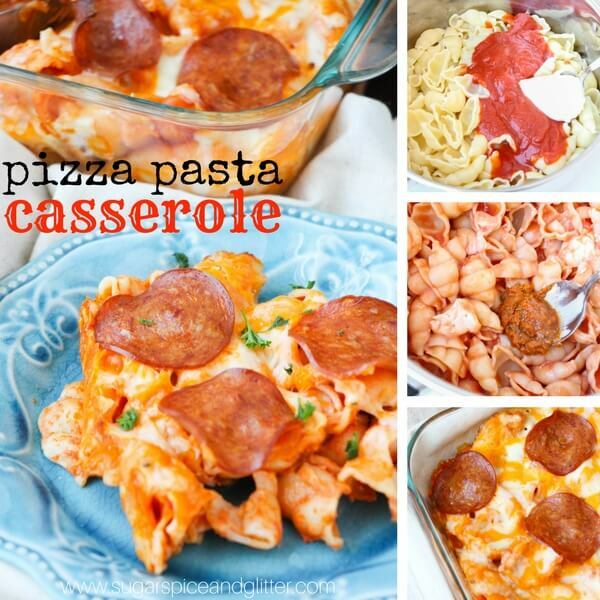 Pour the pizza pasta into a casserole dish and cover with 1 cup of shredded cheese. Sprinkle with additional Italian seasoning, if desired, and place pepperoni slices on top. 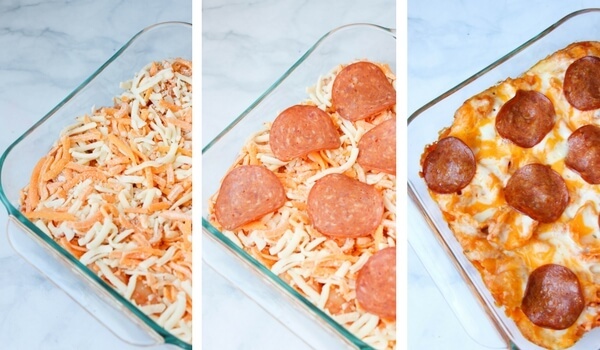 Cover casserole dish with foil and bake for 15 minutes, until the cheese is melted. TIP: For a crispy cheese topping, remove the foil covering for the last couple minutes of baking time. Cook the pasta according to package directions and drain out the water. 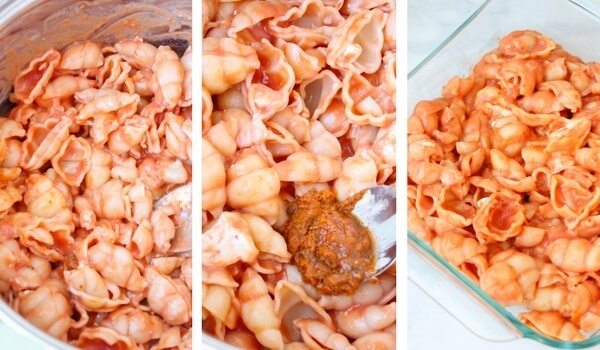 Place the pasta in a large bowl and add in the pasta sauce, cream cheese, salt, pepper and Italian seasoning. Stir well to combine. The heat from the recently cooked pasta should help melt the cream cheese to make it stirrable. 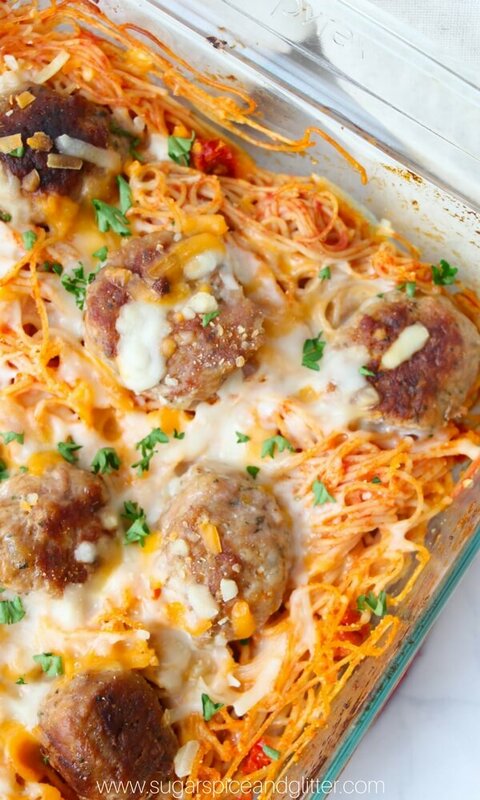 Pour the pasta into a casserole dish and cover with 1 cup of shredded cheese. Sprinkle with additional Italian seasoning, if desired, and place pepperoni slices on top. 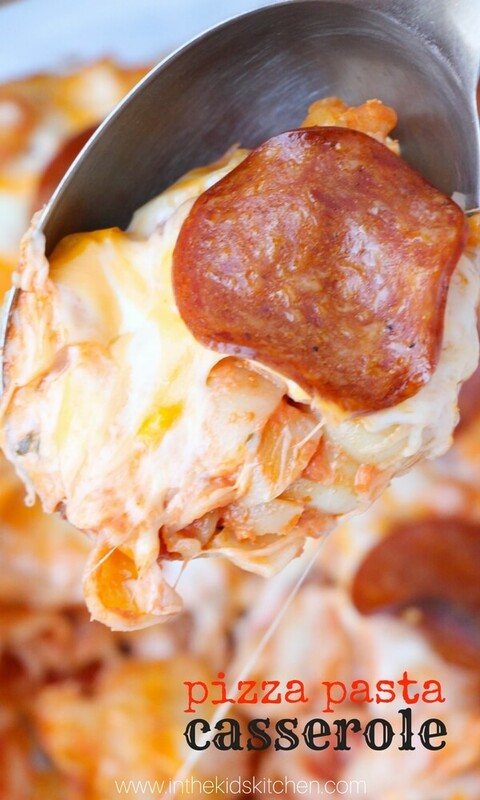 Cover casserole dish with tinfoil and bake for 15 minutes until the cheese is melted.